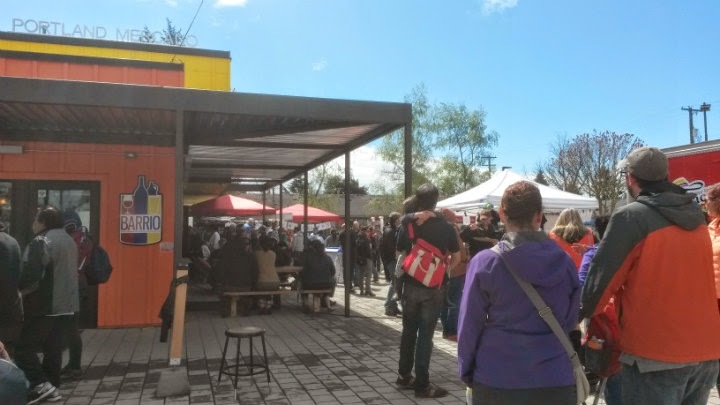 On April 11, 2015, Portland Mercado had its grand opening from noon to 7 PM. Intended to be a hub for Latin-American culture, Portland Mercado delivered on all fronts with delicious food and great entertainment. Portland Mercado actually opened on April 1, but, as many businesses do, it held its festive grand opening several days later on a weekend to build hype and get as many people to the event as possible. KATU, KOIN, PDX Eater, and OPB previously reported that Portland Mercado is a project of Hacienda CDC, a local nonprofit organization. The Portland Development Commission also currently has an ownership in the land. 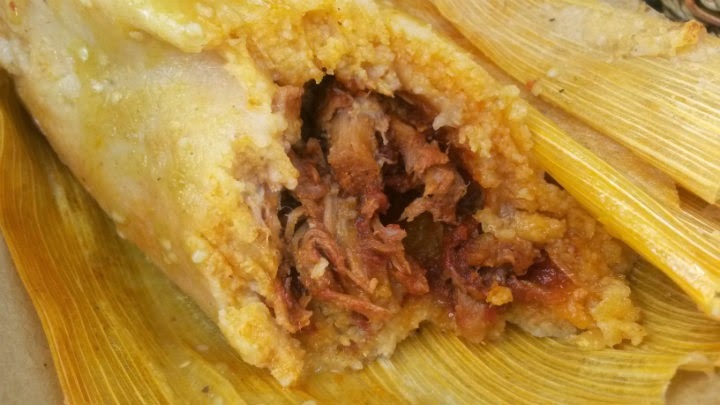 The Mercado proudly hosts 19 Latino businesses, including eight food carts. Basically, when I got there at about 1 PM, it was already a madhouse. Many cars were attempting to get into the adjacent parking lot from SE Foster Road. Not being as patient as the others, I darted onto a side street across from the Mercado and parked in the residential area. Interestingly, five of the eight carts serve Mexican cuisine. However, those five carts each focus on different regions and have different menus. The three other carts focus on Colombian, Argentinian/Cuban, and Salvadoran cuisine. All cart owners served a limited menu for the event. I had food from a couple of carts, one of which I will probably post next week. Lines were extra long, and I'd guess I waited a good half hour in one of them. 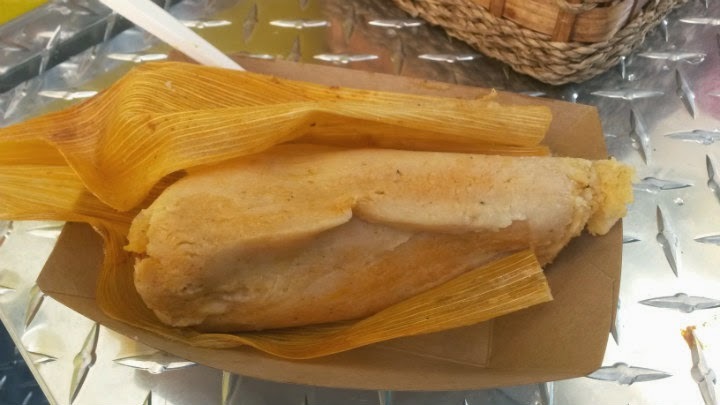 I visited my friends at Mixteca and stood in line for one of their tamales. The Chileajo is a great choice! Going into the building, I saw businesses where you can get drinks, snacks, and fresh produce. 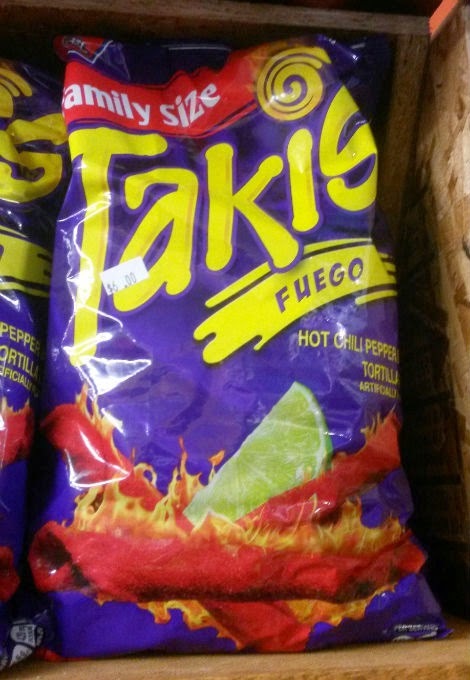 Not to mention I saw I family-sized bag of Takis Fuego. One trip to the Mercado and I'm sold. I'll eventually head back and take more pictures of the area. It will also give me a chance to visit the remaining food carts without a massive line. I'm loving what I see so far!